Contact Us! 408-865-0251 YOUR PATIENTS RELY ON YOU. YOU CAN RELY ON US. 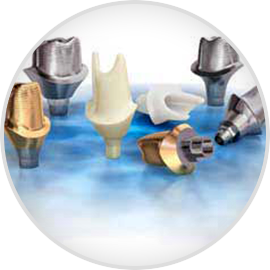 We reduce your patient chair time by providing quality products that fit the first time. We give you more time to see more patients as well as increasing their satisfaction. 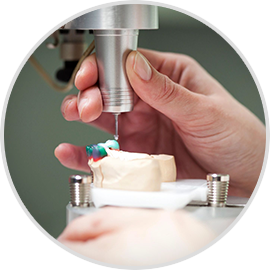 Our lab is staffed by the most experienced implant and full reconstruction specialists, many with significant years in the business and outstanding backgrounds. Quality is the cornerstone of our business. Every case goes through a rigorous quality control process to make sure esthetics, function and fit are correct. Nothing leaves until it is correct. One of the most powerful CAD/CAM system in the world. This system provides 3D scanning, CAD modeling, order management, intraoral scanning, dentist-lab communication, and interfaces to essentially all manufacturing equipment and materials. NobelProcera prosthetics use cutting-edge scanning and software. They are manufactured at state-of-the art production facilities according to medical device standards that focus on quality, safety and precision of fit. With Cerec Connect digital impressions couldn't be easier. This innovative technology works the dental practice to produce precise digital impressions that ultimately has a decisive impact on the restoration outcome. This digital technology is synonymous with progress and state-of-the-art treatments. We are a full service lab offering a wide range of products and expertise. We will work with you on advising and working with the most demanding cases. Your patient is our patient. Our lab utilizes the most advanced digital technology available. Our continuing education program ensures we are on the cutting edge of technological advances. We are continually updating and investing in our lab equipment to the latest available. We pride ourselves on providing excellent service and a quality product. Our highly skilled technicians have many years of experience and extensive backgrounds. PFMs are our traditional crowns. 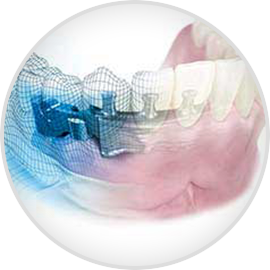 We use the highest quality porcelain which is skillfully built into a custom crown. Zirconia offers extraordinary strength. We mill our crowns in house using a state of the art 5-axis milling machine. © 2018, SPDA , All Rights Reserved.